Imagine panning across a barren landscape, your viewfinder snapping back to an anomaly on the icy tundra—a polar bear in the flesh, lumbering towards the ocean’s edge, in search of her next meal. Or standing perfectly still, not even a hint of wind to penetrate the most complete silence you’ve ever experienced, on an island so remote it’s entirely possible that no human has ever stood in that very place before. Better still, imagine the rhythmic churn and hum of traversing the Arctic Ocean in one of the world’s most powerful nuclear icebreakers. It’s a sensation and sound so alien that the privileged few who’ve experienced it liken it to traveling on a space shuttle. Everywhere you look, sea ice both melds into the horizon and rolls towards you. It plays with your sense of perception and heightens your senses. You’ve never felt more alive. Achieving 90° North onboard 50 Years of Victory is an epic experience to which very few travelers can lay claim. 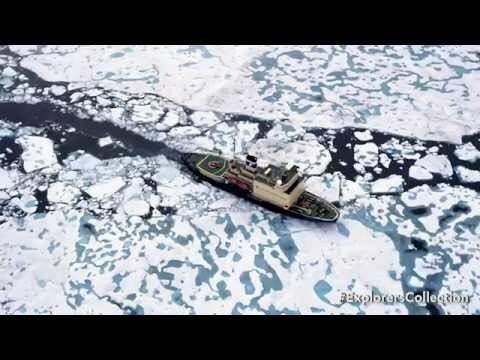 Each year, the Russian powerhouse comes out of commercial service in the world’s northernmost shipping channels with her full crew, to transport just 128 passengers per departure to the geographic North Pole. 50 Years of Victory powers her way through thick, multi-year sea ice en route to the North Pole. 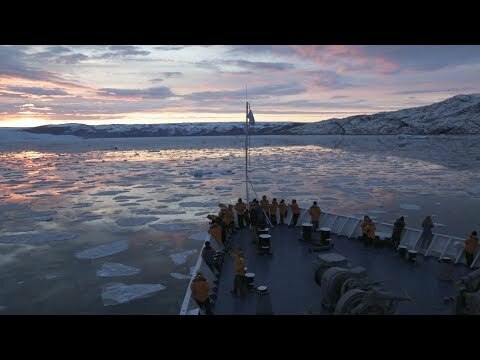 It’s an exciting journey with a variety of rare and unique vantage points from which to take in the spectacular Arctic sea ice. You’ll have access to the icebreaker’s decks, bridge and even the engine room. You’ll soar high over the desolate land and icescape in an onboard flightseeing helicopter, for unrivaled aerial views of the Arctic. From the surface of the water and on foot, on Zodiac cruises and guided hikes, you’ll explore the uninhabited islands of Franz Josef Land, always on the lookout for polar bears, walrus and more. And at the top of the world, at the absolute pinnacle of your adventure at 90° North, you’ll even have the opportunity to take it all in from an optional hot air balloon ride. 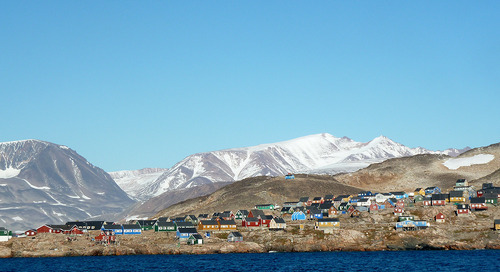 A 3.5-hour flight north of Yellowknife lies the world’s northerly-most fly-in lodge, Arctic Watch Wilderness Lodge on Somerset Island in the Canadian High Arctic. 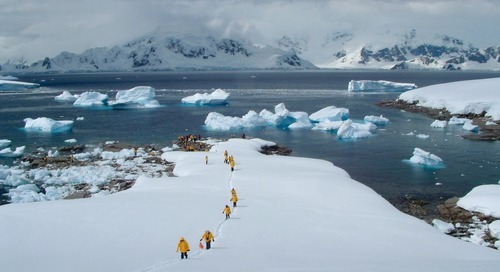 It’s a once-in-a-lifetime adventure and Quark Expedition’s first land-based adventure destination, hosted by real life explorers Richard Weber and family. Action-packed Arctic Watch offers an array of activities to get you out on the tundra and even onto the sea ice exploring. 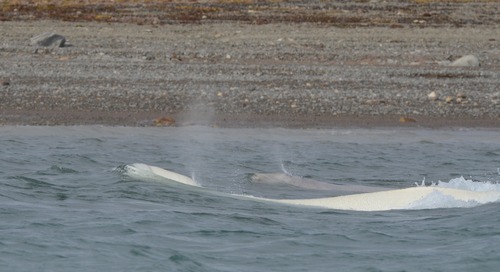 The lodge is situated on the shores of the Cunningham River, one of the top beluga whale observation sites in the world. Each year, thousands of these “canaries of the sea” come back to Arctic Watch to molt, breed and feed in the warm waters near the lodge. Bring a waterproof camera casing or GoPro; your on-the-water shots here are going to be incredible as you glide over glass-like waters by standup paddleboard, raft the Cunningham River, or go kayaking out on the Northwest Passage. At Arctic Watch, all of the activities are included and everything you need is provided, whether it’s fat biking the summer tundra, fly fishing for Arctic char, ATVing in search of a herd of muskox spotted by your Expedition Team, hiking, or even trail running a landscape so alien, you might wonder if you’ve landed in a science-fiction movie. Get a rare insider’s look at the knowledge and traditions, passed down over dozens of generations, that colour the communities of the Far North and make up the fascinating Arctic culture. 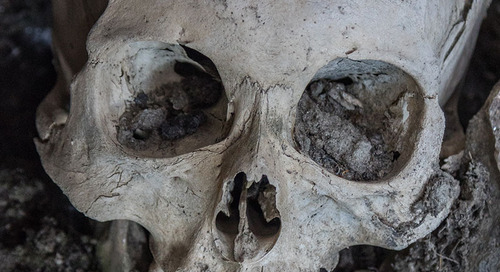 There are few places on earth where relics and historic buildings from the Norse and Viking eras still exist. 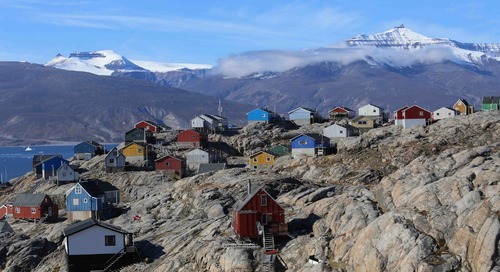 Here, in Greenland, you’ll find culture and history near-perfectly preserved. 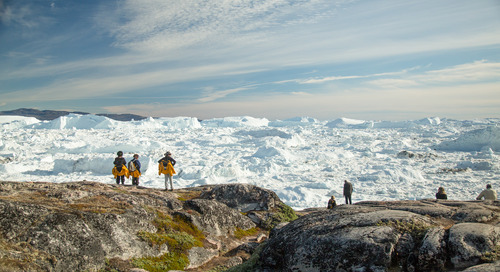 Everywhere you turn in Ilulissat Icefjord, massive ice sculpted by sea waters and the midnight sun begs to be photographed. 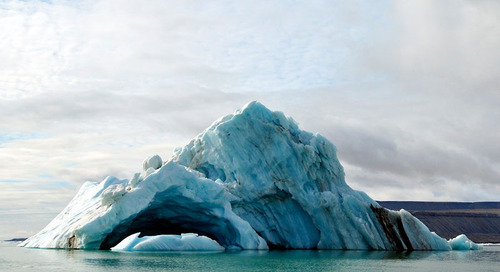 A UNESCO World Heritage Site, the area is also home to Sermeq Kujalleq, one of the most active glaciers in the world. 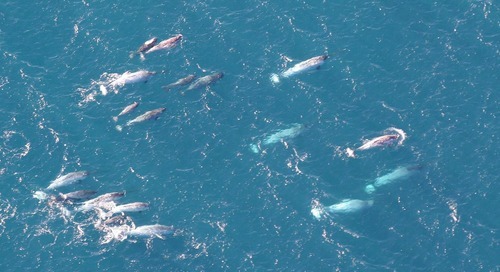 As whales and seals play in the icy waters and seabirds soar overhead, the constantly evolving and shifting landscape vies for your attention. Zodiac cruising and sea kayaking give you a whole new vantage point, from the surface of the water. As the grinding routine of office life or stresses of constant communication fade away, the only task at hand is this: take it all in. There is nothing else in this world like witnessing firsthand the spectacle of a sheer rock face suddenly coming alive with thousands—even hundreds of thousands—of Arctic birds. Gull Canyon on Somerset Island provides sanctuary for thousands of nesting seabirds in the arctic summer. 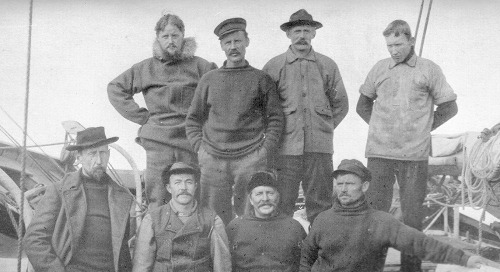 Follow in the footsteps of famed Arctic explorers like Sir John Franklin, whose ill-fated 1845 expedition still intrigues searchers to this day. 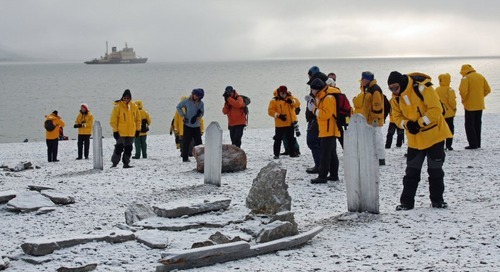 Pay your respects to those brave explorers who’ve gone before you at Beechey Island, a historically and naturally significant landing site on your journey from Greenland to the Canadian High Arctic. Your Expedition Team are constantly in search of wildlife and natural spectacles to share, like the bird cliff at Cambridge Point on Coburg Island in Nunavut, Canada. There, over 30,000 pairs of black-legged kittiwakes and 160,000 pairs of thick-billed murres nest. The open water beneath the cliff provides a valuable source of nourishment in the early breeding season. 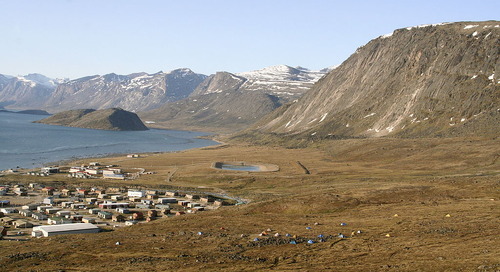 Another of the best sites for birders is Herschel Island, in the Beaufort Sea. Nearly 100 bird species are found in its towering cliffs, with roughly half of those choosing the site for breeding. 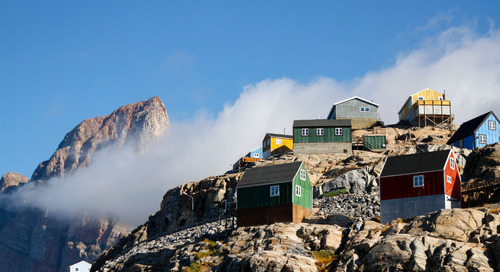 Where else on earth might you snap shots of polar bears, walrus and reindeer? 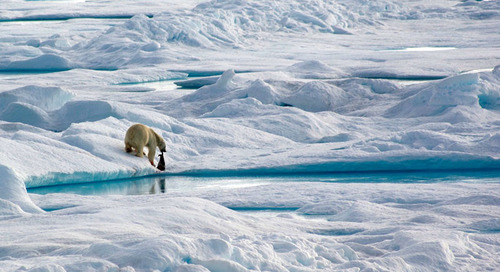 Spitsbergen is known as the Wildlife Capital of the Arctic, and it’s no wonder. 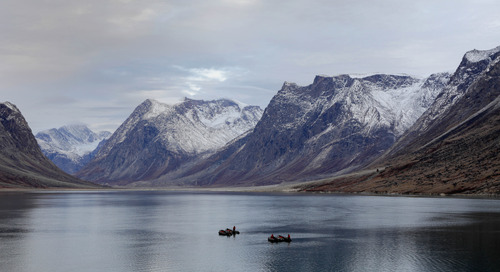 Each day’s weather and ice brings new opportunities to explore this Arctic island in the Svalbard archipelago, through known polar bear hunting grounds to barren rock beaches where walrus haul out in droves and beyond. Spitsbergen’s mountain peaks, colorful tundra and crystalline waters provide the ultimate backdrop for your wildlife photography and make for fantastic landscape shots of their own. 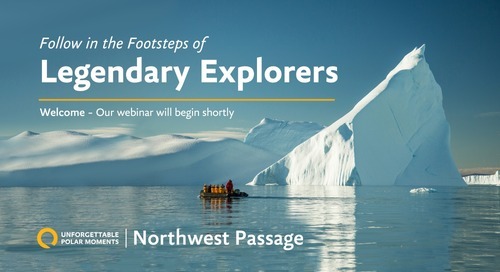 Ready to challenge your own perspective and get a whole new outlook on an Arctic adventure?